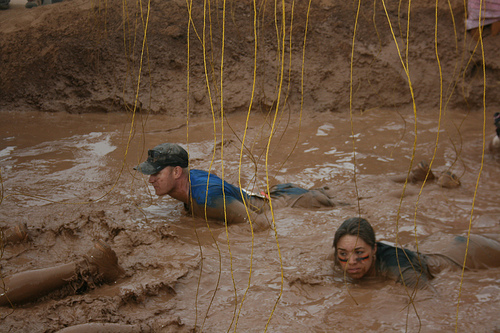 Tough Mudder is a high endurance race that involves running through mud and overcoming many obstacles in your course path. It requires strength and stamina in order to complete and is a grueling marathon that has really earned itself the title of one of the most extreme sports out there today. These races are growing in popularity and more and more people are wondering how they can best train for the Tough Mudder event. From newbies to experienced Tough Mudder participants, the following information explains some key tips in making training for this event a little less difficult. 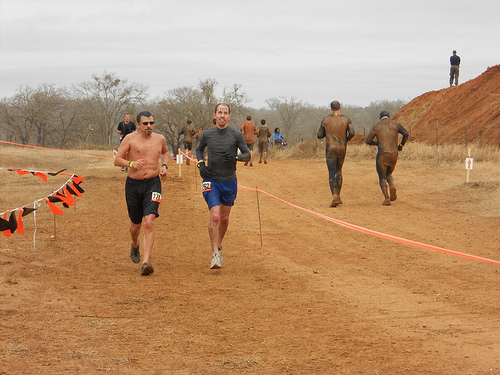 One of the most important and easily accomplished tasks to prepare yourself for Tough Mudder is running. Yes, the task of running can be difficult to do for those less inclined in the physicality arena. However, it does not require anything but a good pair of shoes, the ground, and a good attitude. For this reason, it makes training a little more easily accomplished and you will find yourself becoming more and more prepared for the Tough Mudder competition with every step that you take. 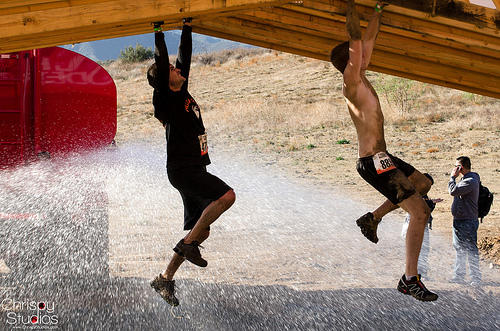 Another training tip for the Tough Mudder competition is to make it a group activity. Ask friends or family to participate with you. This will make training more sociable and keep you motivated on the most grueling days of preparing. Remember, Tough Mudder is, as the name suggests, tough, but it can be fun as well. Bringing your friends and companions along for the journey will make your time training for this extreme sports event a little more enjoyable. If you are looking to get ready for your extreme sports adventure in Tough Mudder, try taking a class to get you prepared. This is an easier way to train than doing it on your own because these professionals can guide you through the process and really streamline and hone your efforts. You will not have to waste time doing activities that will not be beneficial to the competition and they can explain this all to you as you go along. For that reason, taking classes can be a great option for those looking to compete in the Tough Mudder extreme sports competition. Check with race sites and with gyms in your area to see if they offer this training. Training can be made easier if you are not distracted by your poor choice in clothing for the event. Cotton is a fabric that you need to stay away from during your Tough Mudder training. The cotton fabrics are absorbing which means any water or mud that it comes in contact with will be drawn up into the fabric. You will literally be carrying the weight of it with you as you continue on in your training. Be sure, then, that you are wearing something athletic that will not draw in the water and hold you down as you train. This can be a great way to make the Tough Mudder training process a bit easier to handle, or any wet extreme sports training you may have to complete. 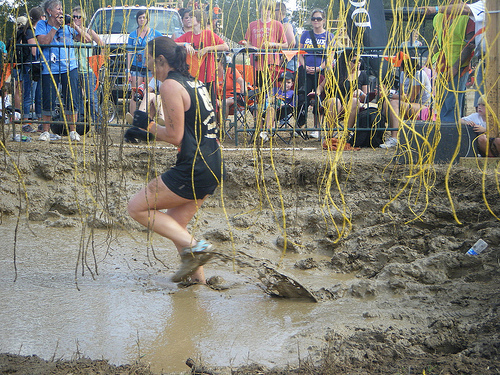 This entry was posted in Bizarre, Featured, Festivals and Events and tagged Tough Mudder. Bookmark the permalink.